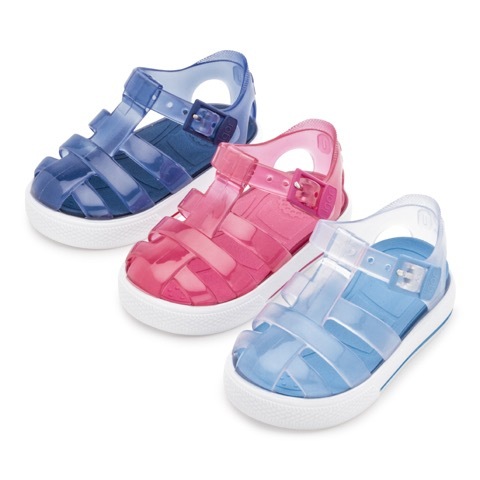 Rubber Jelly Sandals, Tenis model, ideal for going to the beach or pool. 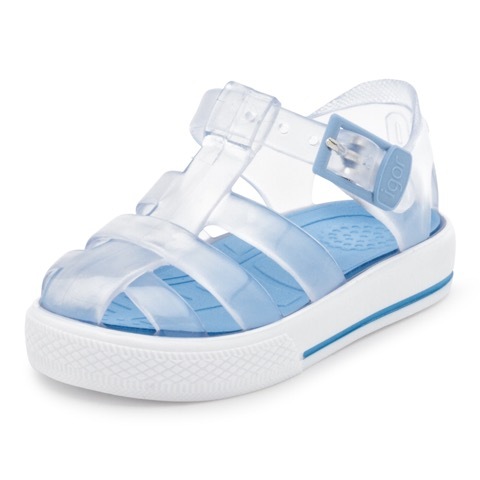 Made of high quality rubber, these sandals are your kid's best partner to avoid slipping or get hurt on their little feet. 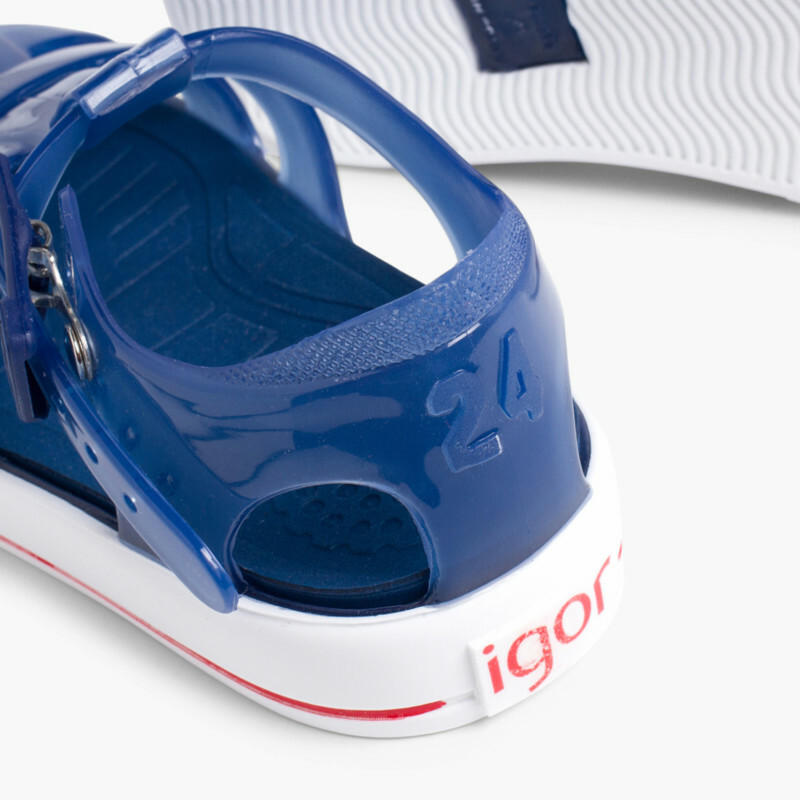 Strap fastening with buckle for a better fit. 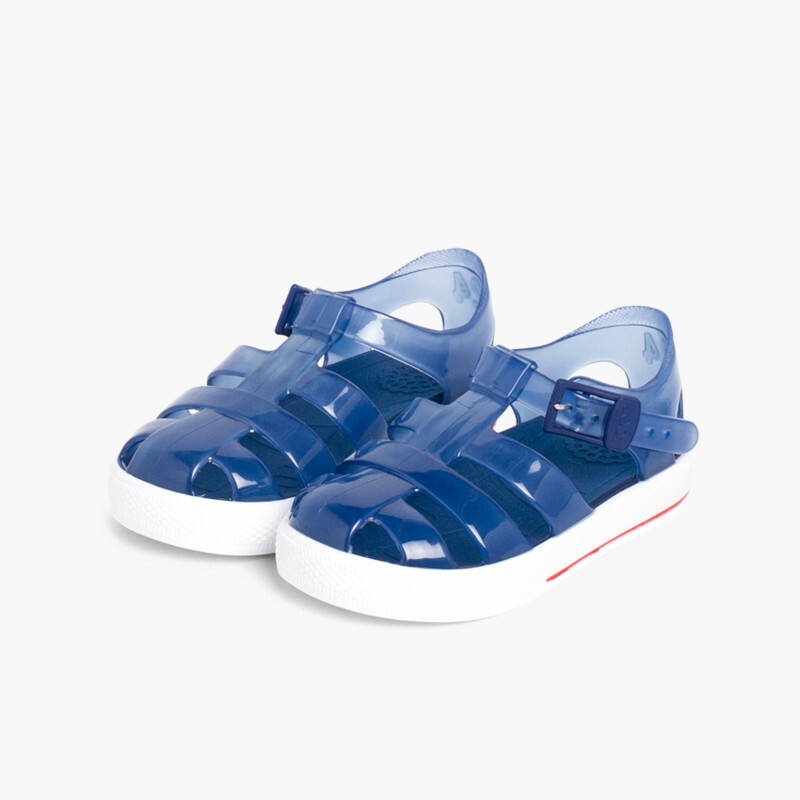 These jelly sandals are also very practical, as they feature removable insoles to ease their cleaning. 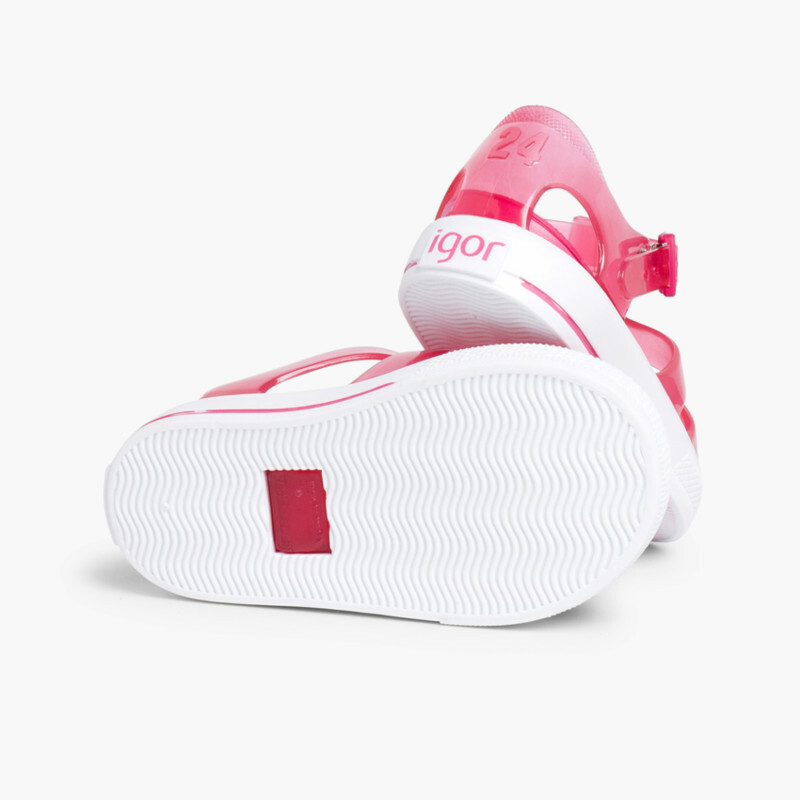 No matter where the young ones go, dirt won’t remain inside their sandals. 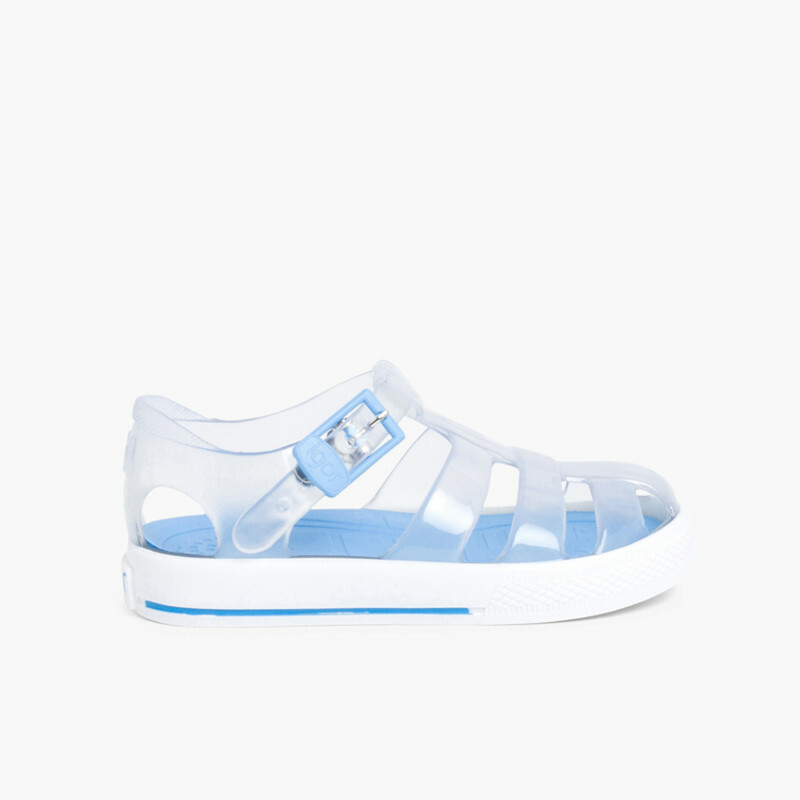 Thus, they could wear these trainers in the beach without fearing subsequent cleaning. 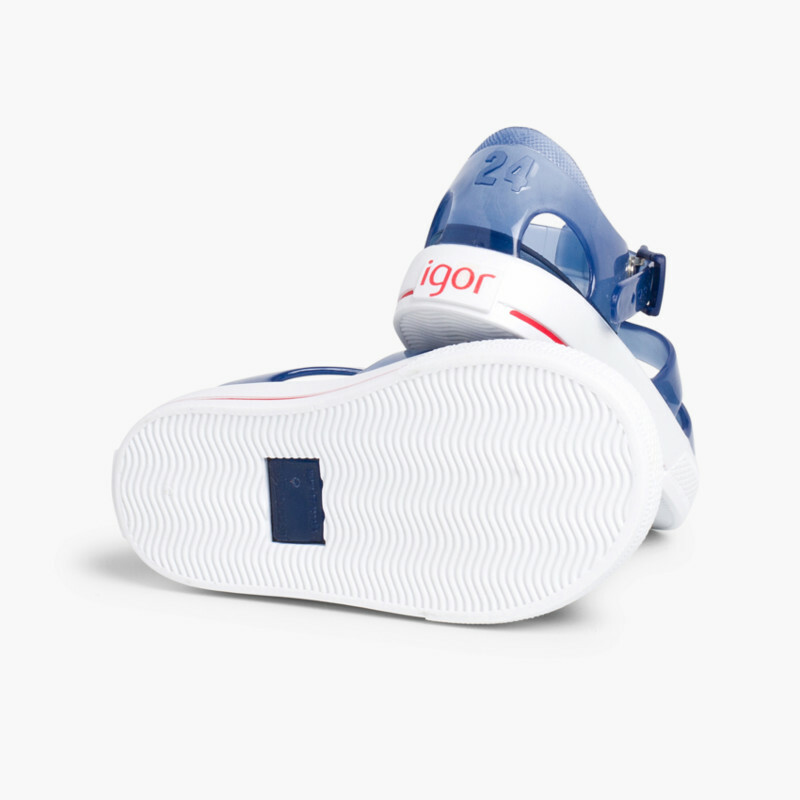 Made in Spain by Igor, one of the best shoes manufacturers, always at the forefront. 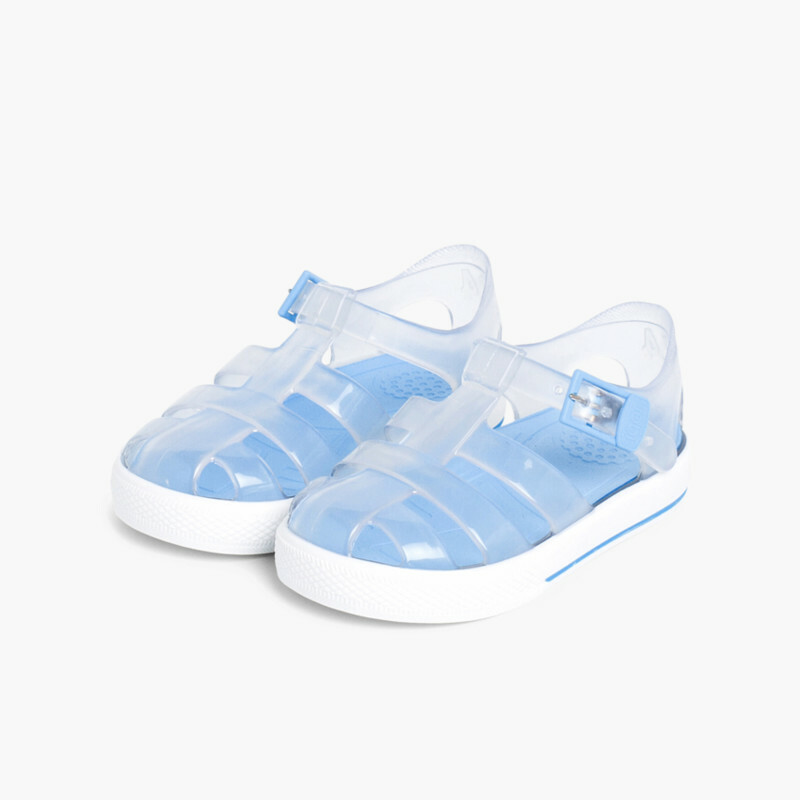 Buy them at Pisamonas at the best price and free delivery service. 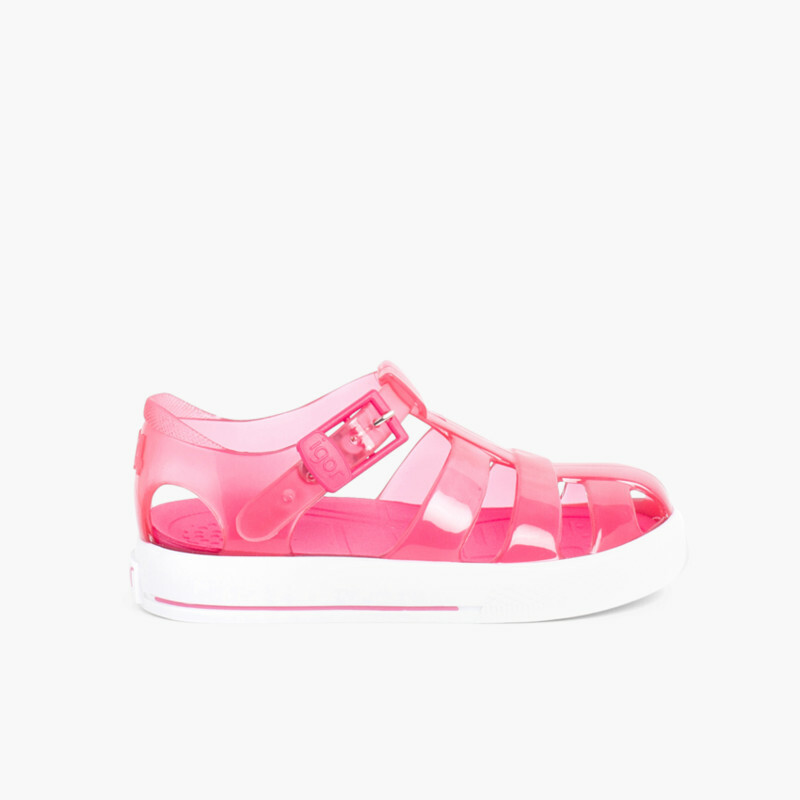 Boys Igor jelly shoes. Excellent service, excellent quality, excellent communication - thank you! 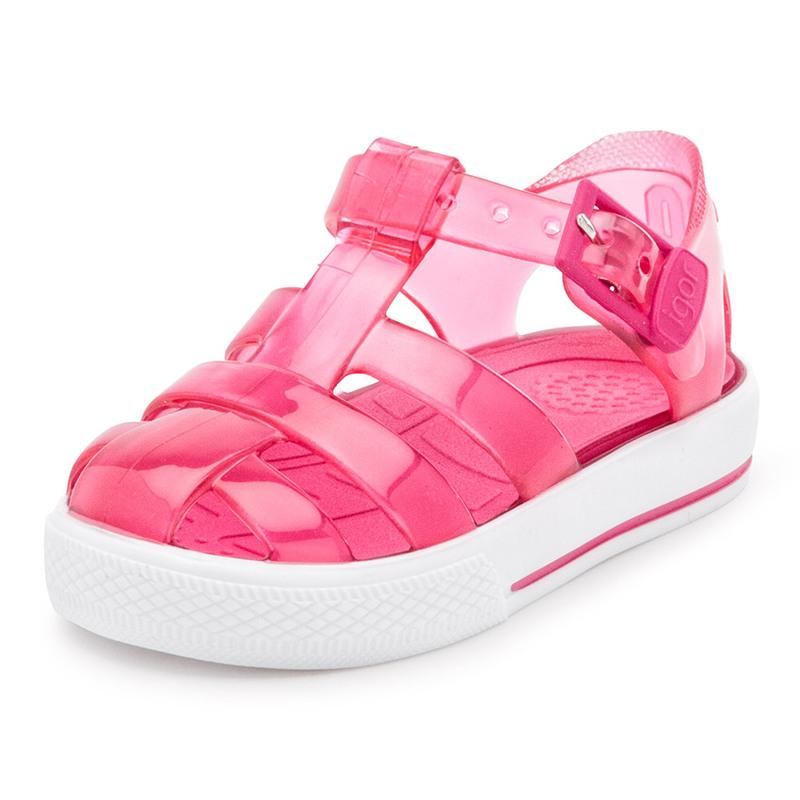 My daughter loves her new shoes. They are comfortable and so beautiful. 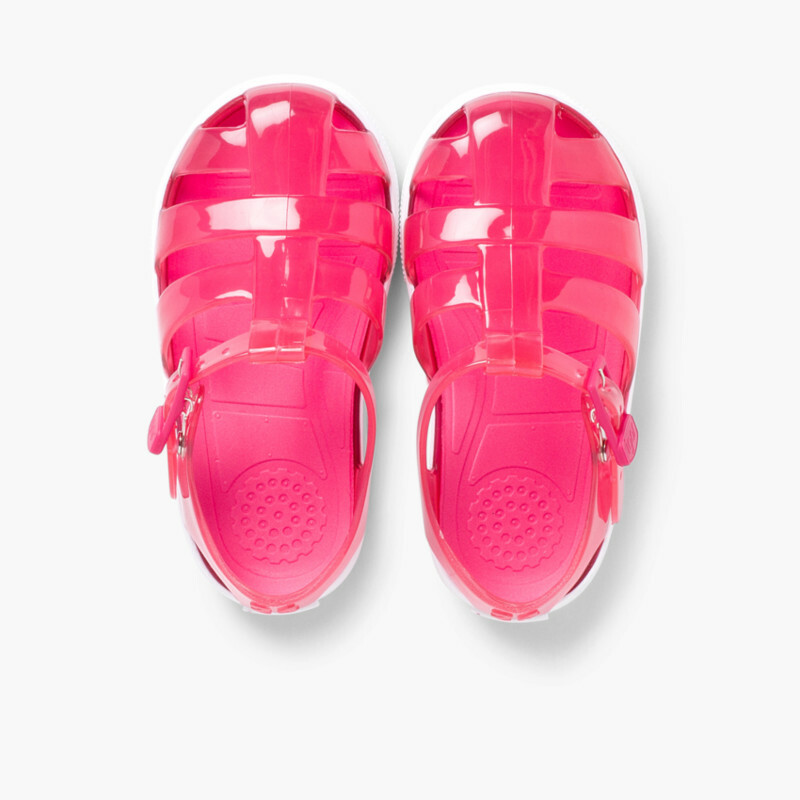 Fab sturdy jellies, great price, lovely bright colour, my daughter loves them! 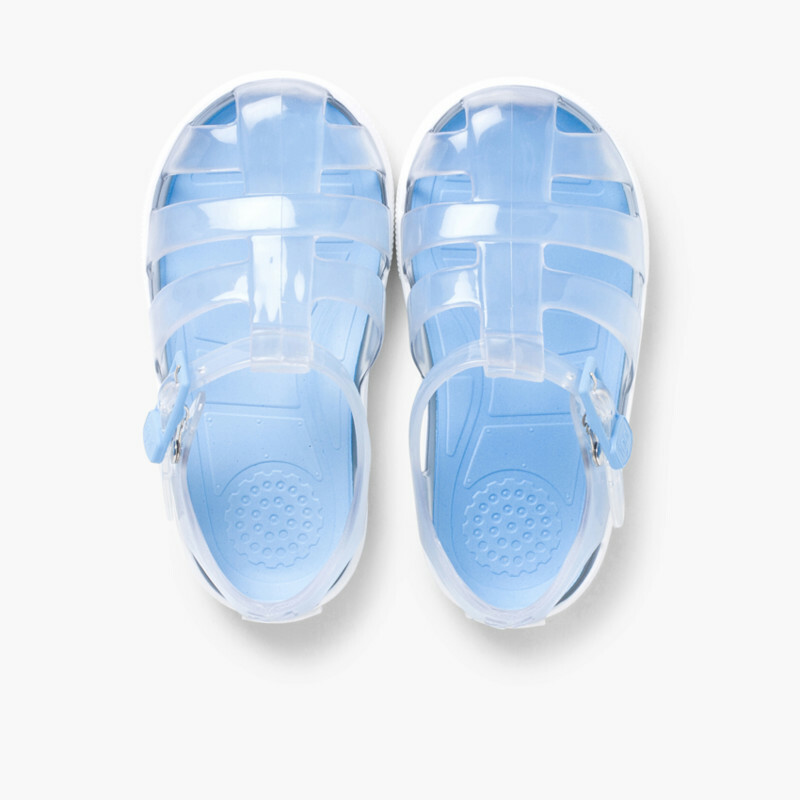 Smart well made comfy sandles. 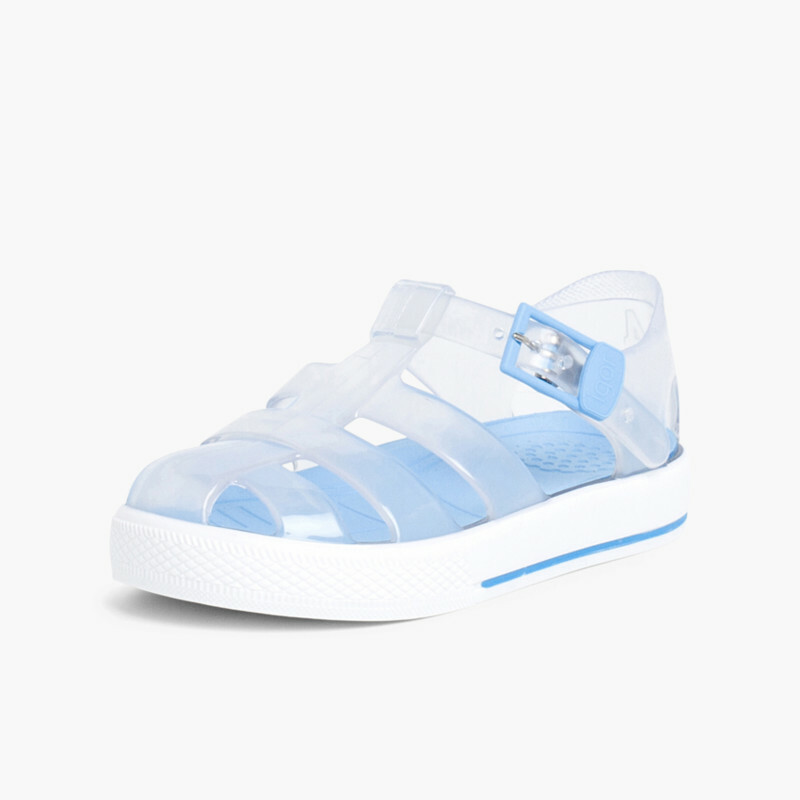 An absolute must for the summer. 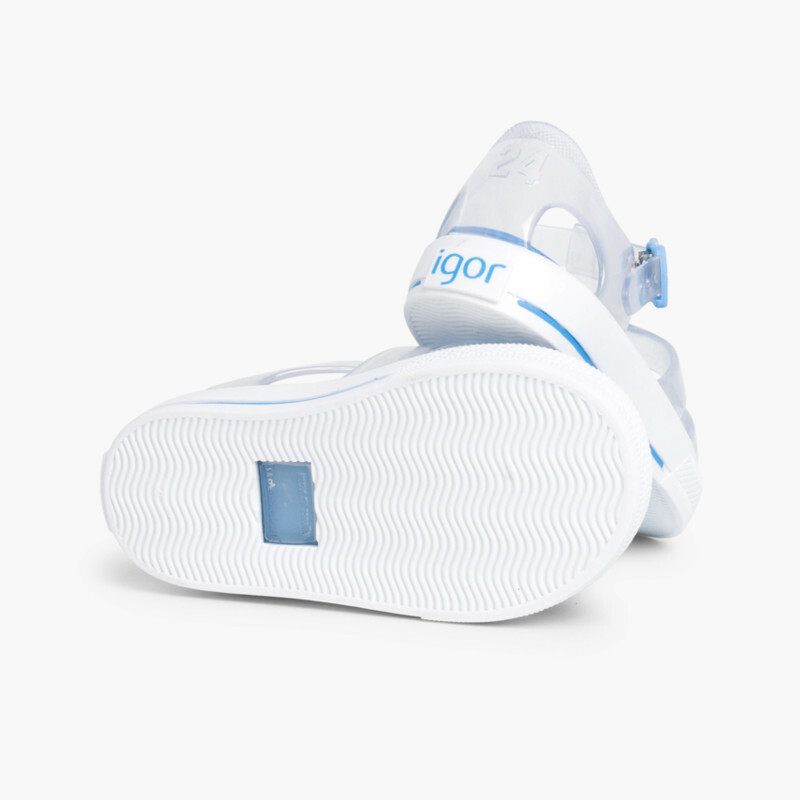 I bout Igor jellys for my son. Great product tjat go with anything. He has w colours. Great value for money. 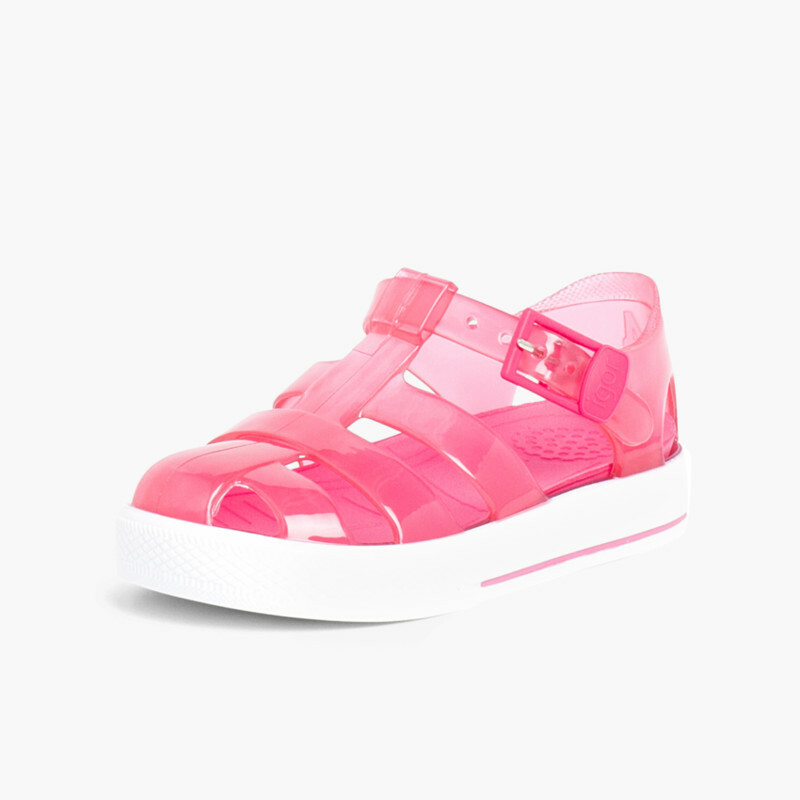 Just love these shoes have a few pairs for my daughter in different colours they are so comfy, an cheap compared to d&g ones which look exactly the same!